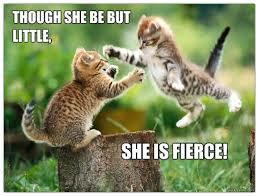 Scrappymags 3 word review: Flavia is fierce! 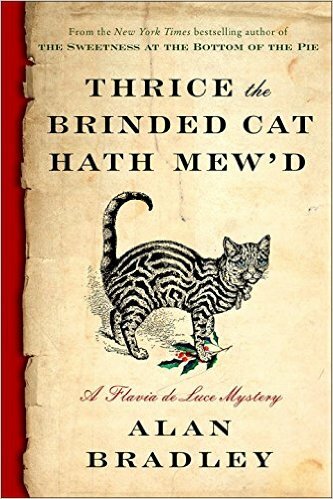 A better Flavia for me in the latest Flavia de Luce installment (though only the 2nd book I’ve read after The Sweetness at the Bottom of the Pie) and one that brings a kinder, gentler, less nosy Flavia…. Um… SAID NO REVIEWER EVER!!! Nobody wants a timid Flavia, so fans – you won’t be disappointed. Flavia is at her precocious best after finding another body (note to self: do not go to Bishop’s Lacey) and she’s off on her usual trail of spying, random interviewing, and of course sporadic chemistry experiments. (For full synopsis of book read it here on Goodreads so I don’t have to rehash. Lazy me). My synopsis? : Flavia delivers a letter for a friend and finds a dead body. This book rose to the level of 4 stars in the cozy mystery realm (also kinda YA too) for the absence of the reasons I didn’t care as much for the first book. Thrice was better paced, moved expeditiously, had surprises – all that felt a tad awkward to me in the first book. The edges have been smoothed. From book one to now Miss Flavia has honed her skills. 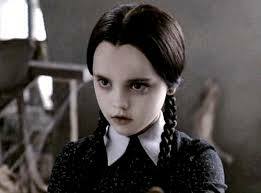 Flavia is now 12 and still the same girl-genius-Nancy-Drew-with-braids but I found her more lovable, well likable, in this book (let’s face it she does have a touch of creepy Wednesday Addams in her). She still has humorous disdain for so many things along with her trademark biting witticisms, so fans will NOT be disappointed. I’m not sure if we are meant to delve deep into Flavia. I’m sad over her home life, which certainly doesn’t improve in this novel. Her father is in the hospital with pneumonia yet she can never seem to visit him. Granted, she is only 12 but if she can solve murders I believe nothing would hold her back from seeing her father. It’s like her tenacity isn’t consistent, which is un-Flavia like. Or perhaps when it comes to family, she is finally vulnerable, and thus avoids all that “mushy stuff.” Definitely a recommend for lovers of the series or those who wanted to give another try to the Flavia books. Thanks to NetGalley and Random House Publishing Ballantine for an ARC in exchange for this honest review. This entry was posted in book review, Books, mystery, summer reading, Uncategorized and tagged book, book review, books, fiction, mystery, reading, reviews.